Purchase your new shower head here. Now qualifying for the new 4 star WELS rating! A sensation only your skin can truly understand. 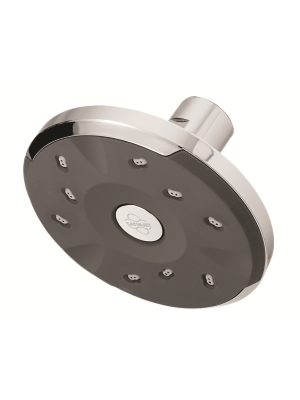 The revolutionary Kiri low flow shower provides a great shower at a flow rate of just 5.0 litres per minute. This saves both water and the energy used to heat it! This next generation shower, harnessing the unique Satinjet® twin-jet technology, was developed to deliver energy and water conservation and a pleasurable showering experience. SKU: KIRI-ROSE. Tags: Energy saving, Water saving. The revolutionary Kiri low flow shower provides a great shower at a flow rate of just 5.0 litres per minute allowing them a WELS 3-star rating. This saves both water and the energy used to heat it! This next generation shower, harnessing the unique Satinjet® twin-jet technology, was developed to deliver energy and water conservation and a pleasurable showering experience. We have checked these out in the Melbourne office and the experience is great! Unlike conventional showers, Satinjet® uses unique twin-jet technology to create optimum water droplet size and pressure, with over 300,000 droplets per second. The result? An immersive, full-body experience that transforms your regular shower into an everyday ritual. Better still, it’s easy to upgrade your bathroom with a Satinjet® shower. Most showers are universal, so in most cases you can simply replace your showerhead with a Satinjet® and enjoy immediately. 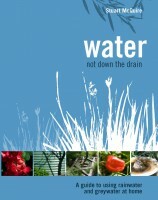 Note that the Kiri Low Flow is only suitable for mains pressure water – unfortunately, if you are using a gravity-fed tank these will not work adequately. In house testing shows that, in order to get the same perceived temperature on your skin, you need to have the hot tap on a bit more than previously. This is because the Kiri mixes quite a bit of ambient air into the water flow to achieve the same effect. Energy savings are not a linear function of the difference in water flow but are significant none the less. For people who wish to know the figures, we’ve included a spreadsheet here – right-click and click Save as.